I was the engineer on crew #36 with Lt. Childrey. 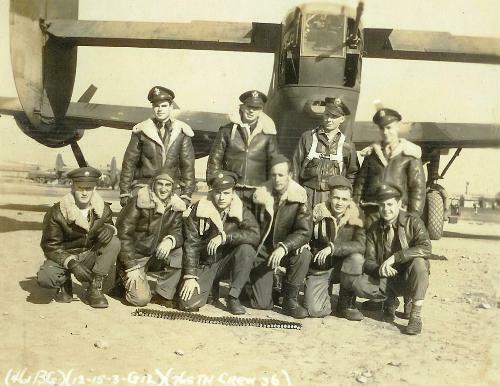 Crew #36 only flew 1 or 2 training missions. 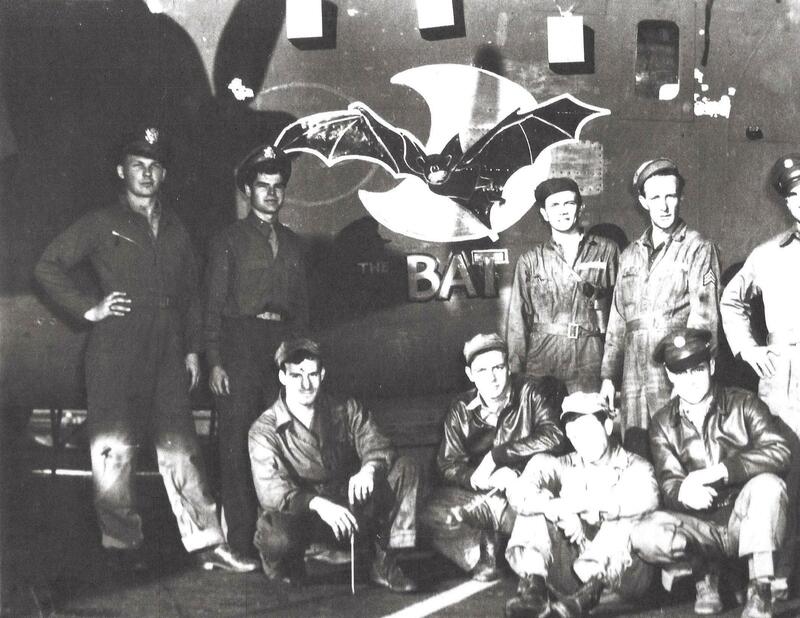 We were assigned a B-24H which we called the "Bat" and painted the design. We flew to Hamilton for POE and aircraft modification. We departed Hamilton for Florida and departed Florida on 1 February 1944. We flew the southern route stopping at Port of Spain, Bethal, Natel and Fort Elica. We departed Brazil to Dacar, Africa staying in Tunis and other bases there until our run ways were completed in Italy in early March. The 376th Bomb Group got wiped out at Regansburg. 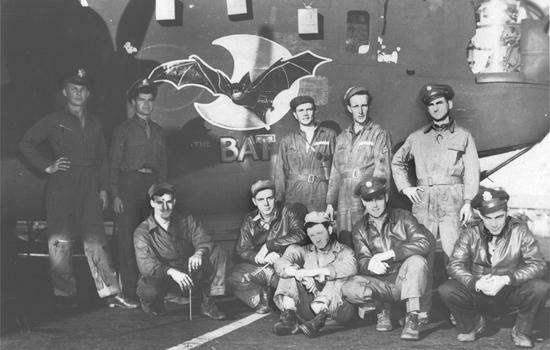 Several of the 461st planes were transferred to them including the "Bat". 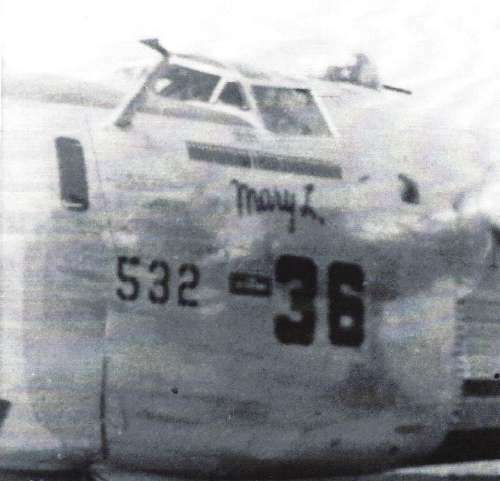 Our crew was given a B-24J we named the "Mary L". We flew our new aircraft on 27 missions when it was badly damaged on 31 May 1944 with 2 fires which we extinguished. 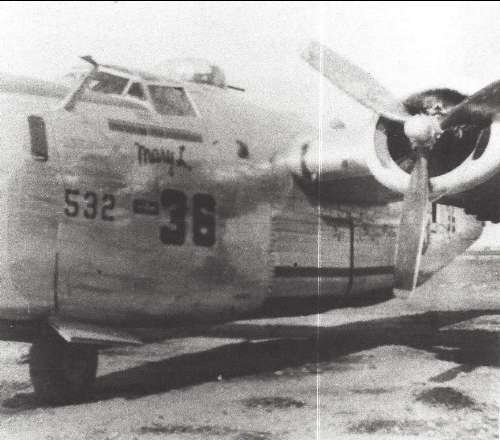 This was the "Mary L" last flight as an engine hit it when another aircraft blew up on the ramp. Childrey, Geurtz and Martin received the DFC on this mission. Childrey was sent home medically. Lt. Shipley became the crew commander for completing our 50 missions. 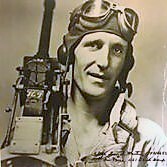 Lt. Shipley was not listed as the aircraft commander. Col. Glantzberg flew several missions with us as our co-pilot seat had to be filled on each mission. On the 31 May mission we lost two aircraft. 32 aircraft returned with 31 having flak damage. Click here to view the missions flown by Troy Martin. This is the aircraft the Childrey crew ended up flying.